MarketResearch.com released Sinusitis - Pipeline Review, H2 2012 and Sinusitis Global Clinical Trials Review, H1, 2012 reports in 2012. The report reviews existing and the latest developments in the global paranasal sinus cures market. The information is collated from various sources, such as third-party documents focusing on the disease, universities and companies’ press releases, investors’ documents, SEC filings of the companies and global databases. The report, a comprehensive source of information about sinusitis therapeutics, offers information about an array of sinusitis products that are being developed by universities, research institutes or companies. The product appraisal covers different development stages ranging from discover to registration. Drug profiles consist of product description and mechanism, and progress in research and development. The report profiled Bacitracin, Levofloxacin vibrENT, Lidocaine + Adrenaline, Pulmozyme, SinuNase and Xolair. The review includes role of major players in advancement of sinus cures. The contribution of Accentia Biopharmaceuticals, Inc., Clarassance, Inc., PARI Pharma GmbH and GlaxoSmithKline plc to sinusitis therapeutics is discussed in the report. The document even covers projects that have been discontinued or are in the late-stage. Important market and pipeline information will help in selecting the most suitable partner for business expansion by acquiring promising companies and / or merging with related businesses. Get the report. The report offers information and statistics on clinical trials focusing on sinusitis drugs. The document is based on in-house evaluation, secondary and primary research and proprietary databases. This abridged version of sinusitis related clinical trials being conducted in different parts of the world provides insight into the drug scenario. The latest therapeutics market information will aid in business decisions. Get the report. 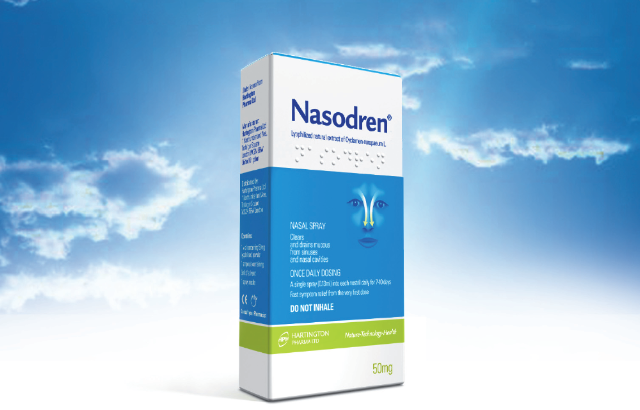 Sounds like a great product to help with the easing of sinus problems!